Is Your Board Guilty of These Common HOA Board Faliures - Advanced Management Inc.
are especially common in self-managed associations where board members often lack the knowledge to successfully manage a community association. Unfortunately, mistakes can lead to displeased homeowners, major expenses and even decreased property values. Is your board guilty of any of these common HOA board failures? Collecting overdue fees isn’t a task any board member enjoys – especially when forced to collect from neighbors and friends who are unable or unwilling to pay up. Because collecting fees can result in awkward situations, the job often gets put off. However, failing to collect overdue fees has a negative impact on the HOA’s cash flow. Community associations commonly fall victim to fraud. The best way to prevent and detect fraud is to keep a close eye on your financials. Review the association’s spending, and take a closer look at anything that seems suspicious. Paying close attention to your financials is also the best way to stay within budget. 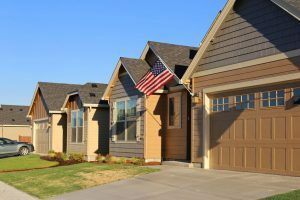 Even though homeowners’ associations do not pay taxes, they are still required to file federal tax returns. Unfortunately, many boards forget to do so and end up facing stiff penalties from the IRS. Is your association covered in the event of an unforeseen disaster? If you don’t pay attention to your insurance policy’s lapse dates, you could find yourself facing a nasty surprise and needing to pay out of pocket. Make sure the insurance premiums are paid on time, and review the policy regularly to make sure you have enough coverage for your association’s needs. Managing a community association isn’t easy. It can be overwhelming for even the most dedicated board managers. If you are struggling to run your HOA, there is no shame in asking for help. Professional HOA management companies are equipped to handle any aspect of managing your association, and they can even help you save money. At AMI, we offer expert HOA management services in the Bradenton, Florida area. Contact us today and let us show you how we can keep your association running smoothly.